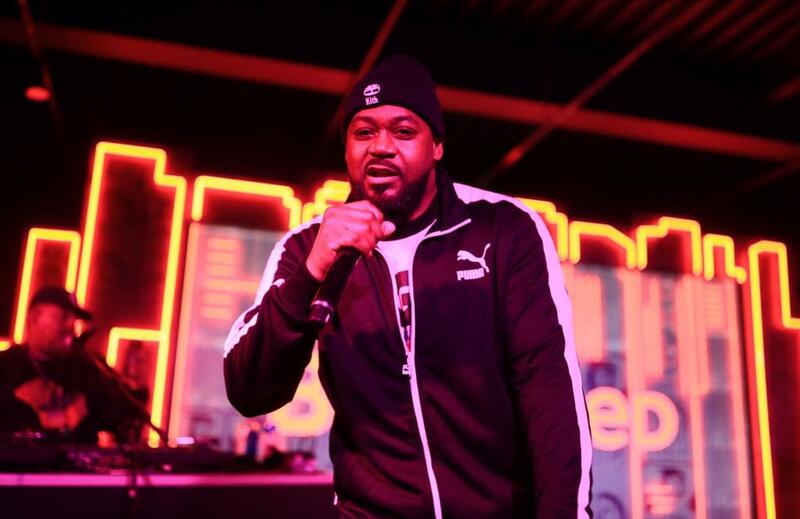 ENTER TO WIN TWO (2) TICKETS TO KRUSH GROOVE 2019! 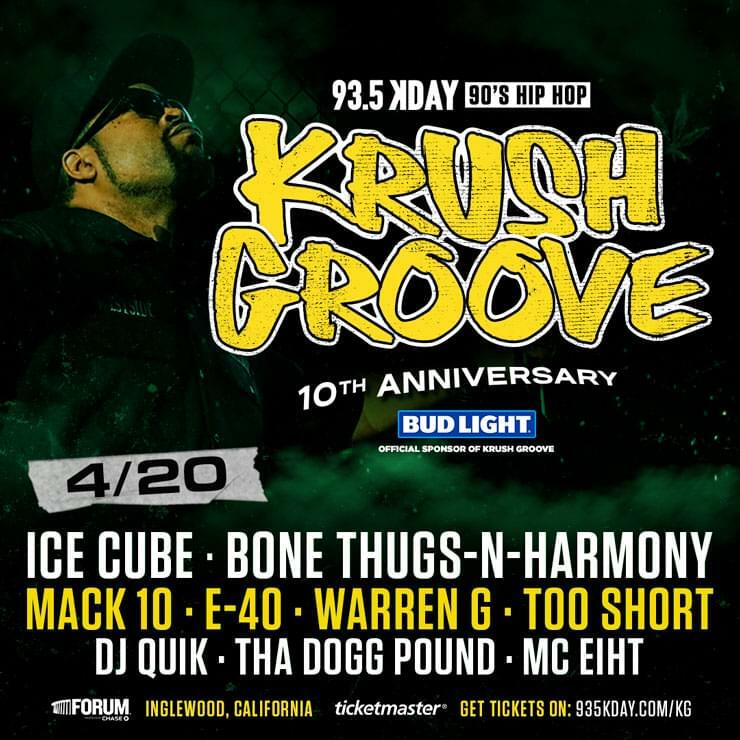 93.5 KDAY presents Krush Groove featuring Ice Cube, Bone Thugs-N-Harmony, Mack 10, E-40, Warren G, Too Short, DJ Quik, Tha Dogg Pound, and MC Eiht! 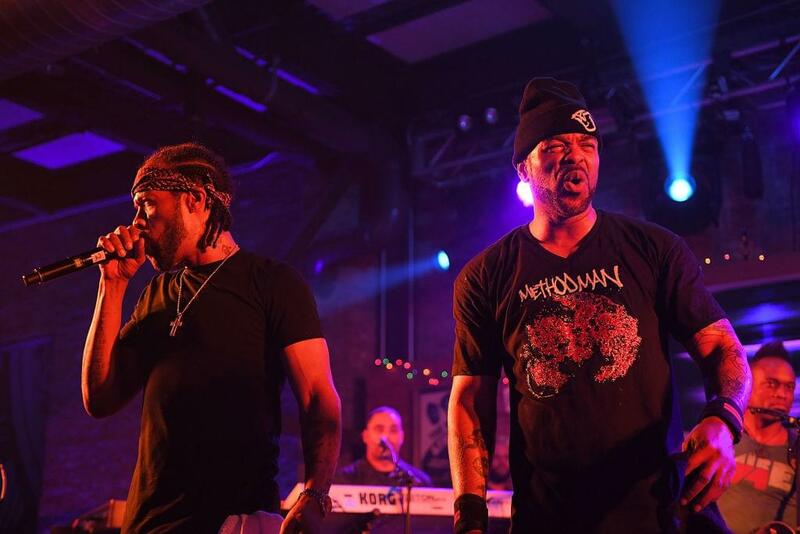 It’s all going down on Saturday, April 20, 2019 at The Forum in Inglewood, CA! Be sure to listen to win, too! All day every day for your chance to win! When we ask you, be caller #9 at (323) 520-5329 for your chance to win! 93.5 KDAY…90’s Hip Hop Back In The Day!!! To BUY your tickets NOW. For Offical Rules – Click Here!